For as long as I can remember the under the counter spot in chemists/pharmacies has been the home of jellybeans. 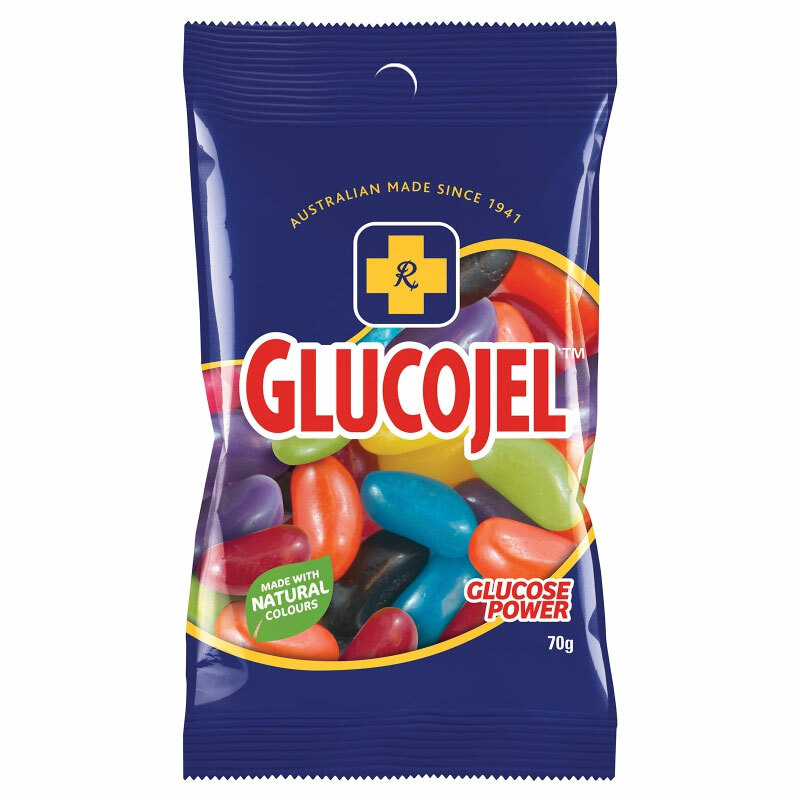 The ones in the clear pack with blue writing and the pharmacy guild icon on them. The ones that no-one really likes but buys anyway to make it over the $10 limit for electronic bank purchases. And we all know that lollies/sweets/candy are placed at the eye height of little kids for a reason! Things are a bit different in the Lion City. 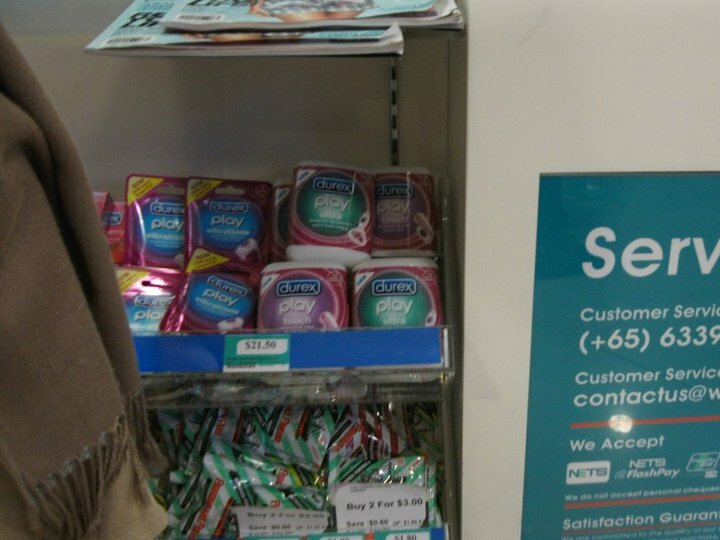 In one chain of stores, Watsons, the under the counter position displays condoms along with mini vibrators for both him and her! I have nothing against these things being on sale, and I totally understand that customers should be spared the embarrassment of having to ask for a vibrating pleasure machine, but for the love of god WHY ARE THEY AT THE EXACT EYE HEIGHT OF LITTLE CHILDREN??? There’s nothing quite so weird as your 4 year old daughter pointing to a pack of strawberry flavoured condoms, rubbing her tummy and saying ‘yum, yum!’. That is hilarious! And for your Miss5 that is a massager doesn’t specifically for adults. I never shop at Watson’s and now I never will. Thanks for the heads up. We are expats from America. Just wanted to say hi. Oh dear lord what were they thinking?